Finding the right balance between rigorous privacy regulations like the upcoming EU General Data Protection Regulation and the urgent business-driven demand to open existing (and often still entirely on-premises and siloed) Enterprise IAM infrastructures to entirely new classes of identities and applications is a challenging task that calls for a very careful assessment of the company’s readiness for such major changes. 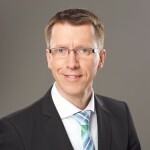 In the first part of the webinar, Martin Kuppinger, Founder and Principal Analyst at KuppingerCole, will present the key results of the recently published survey “State of Organizations: Does Their IAM Meet Their Needs in the Age of Digital Transformation?” and provide further analysis and recommendations on them. In the second part, Niels von der Hude, Director Market Development IAM at Beta Systems Software, will explain the real-life impact of Digital Transformation on companies, illustrating the key trends and developments that Enterprise Identity and Access Management needs to adapt to cloud computing, Industry 4.0, and new regulatory compliance aspects like GDPR.